Injectable treatments like Botox®, Juvéderm®, Restylane®, and Kybella® can help you relax wrinkles, improve facial contours, and even eliminate under-chin fat. 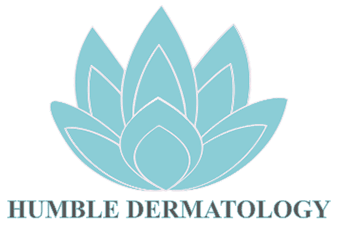 At Humble Dermatology in Humble, Texas, board-certified dermatologist Adaeze Egesi, MD, can customize your treatment using Botox, fillers, and other injectables to give you the look you want without surgery. Use online scheduling or call the office to make an appointment. Botox may also help with neck lines in some cases. Botox is an excellent way to temporarily relax your facial wrinkles for up to four months. Dr. Egesi uses fillers like Juvéderm Ultra XC, Juvéderm Volbella® XC, and Restylane Silk® to correct age-related lip thinning, give you plumper lips, or even gently reshape your lip borders. Fillers in your lips last up to 12 months. Dr. Egesi uses fillers like Juvéderm Voluma® XC or Restylane Lyft® to add volume to your cheeks, one of the most common areas of age-related volume loss. Juvéderm Voluma XC, the longest-lasting hyaluronic acid dermal filler, lasts up to two years in the cheeks. Dr. Egesi uses fillers, including Juvéderm Vollure™ XC, Juvéderm XC, Restylane Refyne®, and Restylane Defyne®, to fill in nasolabial folds, the lines that move from your nose to the outer edges of your lips. Fillers in your nasolabial folds can last up to 18 months. If you’re unhappy with aging hands, dermal fillers may help. Restylane Lyft is FDA-approved for use in your hands, which means you can eliminate the bony look that often comes with aging. 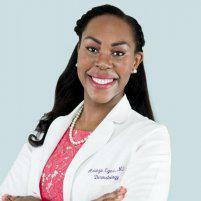 Dr. Egesi discusses your appearance goals with you to help you choose the best filler for your situation. Can I get rid of my double chin? Yes, you can now eliminate a double chin, without surgery. Humble Dermatology offers Kybella®, the only FDA-approved injectable product for fat removal below the chin. In Kybella treatment, which usually occurs over two or more sessions, Dr. Egesi injects the Kybella directly into your double chin. Over the coming weeks, the Kybella destroys fat cells where it’s injected, giving you permanent fat loss in that area. Book your Botox, filler, or Kybella appointment at Humble Dermatology using the online tool or by phone now.